Alina arrived in the UK in 2006, in search of opportunities. She spent five years observing how a beauty salon is run from the inside, before taking the big jump, from employee to entrepreneur. Starting a business has many similarities with raising children. It is a full-on job. It is hard, it makes you the happiest you have ever been and makes you cry of exhaustion, but it is so rewarding. And at the heart of it all, is love and passion. Of course, it took a lot of courage for Alina to start on her own rather than going back to working for someone else after her maternity leave. She asked herself: “Should I be brave?” And the answer was a full-blown YES. 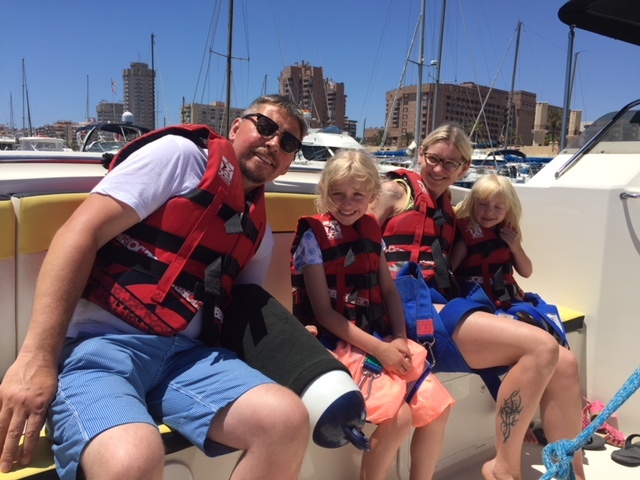 It was a scary decision for a young mum but Alina felt confident with the support of her family, who were backing her 100%. A lot of her clients have been regulars to the MoB since she opened the salon in 2012. 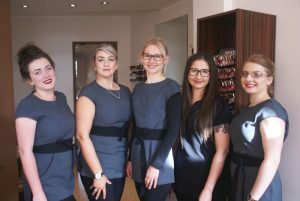 After four years of running the salon on Cotham Hill, Alina decided to open a second salon on St Michaels Hill in Bristol. It is really important for Alina that her staff not only deliver 5-star treatments, but also forge relationships with the people of Bristol. She talks about being blessed with fantastic members of staff, but this is more down to her positive work ethics than to luck: “I really invest in my staff through training. I want each of them to be completely confident before they deliver a new treatment with a paying customer. They practise on locals who enjoy a free treatment!” And that makes complete sense; a confident beautician makes for a comfortable and relaxed client. There is no guess work with Alina and this is how she ensures that her clients are really well looked after. Alina gets a lot of satisfaction from delivering top customer service and creating jobs in Bristol: “It is great knowing that by employing people, I help them pay their bills and their mortgage! It is a big responsibility but it’s really rewarding”.